My thanks to Grove Press for my copy of this book, which is newly-released in the US in paperback this month. "A shut eye is for real. An open eye just pretends." Normally, I really detest what I call the "woo-woo" element in crime fiction (aka the supernatural) unless it's specifically stated that this is what I'm getting when I pick up a book, but strangely enough, in The Shut Eye, it works. I gave this novel a lot of thought before posting about it, because it involves the story of a missing girl (12) and a missing little boy (5), and the police involved in the missing girl case had actually called in a psychic at one point, which I know sometimes happens in real life. So I just let my normal objections roll off my back and immersed myself in it for another quiet Saturday read. A haphazardly left-open door at the apartment of Anna and James Buck ended in the disappearance of their little boy Daniel. Anna is wretched, sliding silently toward her own madness, while James stands by watching his wife go off the rails. Anna knows that Daniel will return and that everything will be better when he's back, but until then, she is on that very slippery slope of melancholy and depression. In fact, when we first meet her she is about to jump off a ledge in front of a train. She is saved, however, by DCI John Marvel, who lies to her about the train schedule and saves her life. Unsure of what to do now that she's failed in her suicide attempt, she sees a flyer advertising former television psychic Richard Latham (aka a "shut eye") -- who is the equivalent of John Edward -- remember him? He's the "I'm getting a message from someone whose name starts with the letter M" guy who was all the rage for a while here in the US. Anyway, Anna goes to meet him, shows him a photo, and is told by Latham that he can do nothing to help her. Deeply disappointed, Anna meets a woman named Sandra who is there for help to find her missing dog; Anna accidentally walks off with the photo that Sandra showed her. It is at this point that the story swings into full gear. First, Marvel is removed from a murder investigation by his boss to look into the missing dog case, since Sandra turns out to be his wife; second, it is about this time that Anna starts seeing things she feels may be important after looking at Sandra's photo, and takes her visions to the police. Marvel, who is absolutely desperate to solve the earlier case of the missing 12 year-old girl, notices some very odd things in the photo that pique his interest in regard to her disappearance. Considering that this isn't my usual reading fare, I found myself very caught up in the two main characters, Marvel and Anna. Marvel, who seems to be a very good, dedicated and determined detective, also is a no-nonsense guy who doesn't mess around. Anna steals the show in this book, though -- she is definitely the one to watch here. 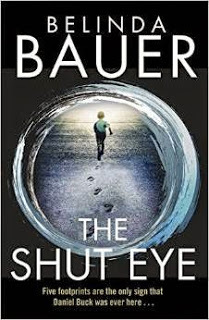 And I have to credit Ms. Bauer ... instead of loading this book with the overdone, gimmicky flip of perspective between victim and investigator, which I can't stand, she gives only brief insights into what's going on with her victim and focuses largely on her two main characters and the outward ripples their actions leave in their respective wakes. I did not, though, think that this book was without flaws here and there -- the whole interrogation with Latham, for example, is a bit murky, and then toward the end when everything starts to hit the fan, things get a bit rushed. Then there is the whole issue of identifying the who before things were finished after all of the time I'd invested in this story ... I'm just not a big fan of this approach at all. Still, I would definitely rate it a bit more readable than I have done for a lot of modern crime fiction -- it's definitely not same old same old, and well, it does stick out as being quite different and very unusual. That's a big plus from where I sit. While this is a very different take on a police procedural, it's definitely not a cozy and there's nothing cutesy going on here, although it is also not as dark a read as I generally look forward to. As I said, eyes on Anna -- she makes this book what it is. I own this one but have been wary of actually reading it for some reason, you make a good case for it. It's okay. I did have to go into complete suspension of disbelief mode (just not really into this sort of thing as a rule) but as I said, it's not perfect. You'll have to let me know what you think. I'm just grateful it's not overly violent. I agree this sounds very unusual. I personally enjoy a book that contains character development, even to the exclusion of other elements. It's not so much character development, but Anna is definitely worth watching. I've been wondering about reading this book, but, as Bernadette says, you make a good case for it. 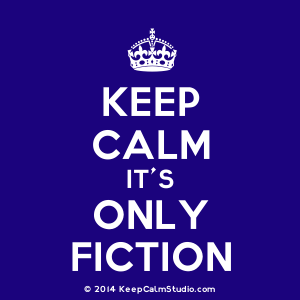 I also am not a fan of anything touching on supernatural or paranormal plot devices, but I have read a couple of books that have been good despite this aspect. So, I'll give it a go. This is all I've read of her work so in terms of how it measures up to what came before, it's a blank. It's focus on grief is sad but good.